Watch this underwater video of mangeboys cheekshad, measuring 33 cm long, this is a magnum shad for large pike and musky. 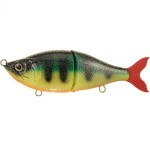 Just as the rest of Mangeboy Swedens soft baits, the cheekshad is hand poured and hand painted. 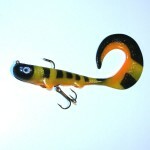 A truly unique soft bait and as the video shows, the rolling motion on this bait is fenomenal. 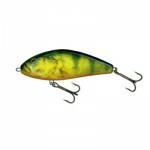 Category: Lure Videos, mb79sweden, and Swimbait/Softbait. Tags: cheekshad, lure video, mangeboy, soft bait, underwater video, and video.